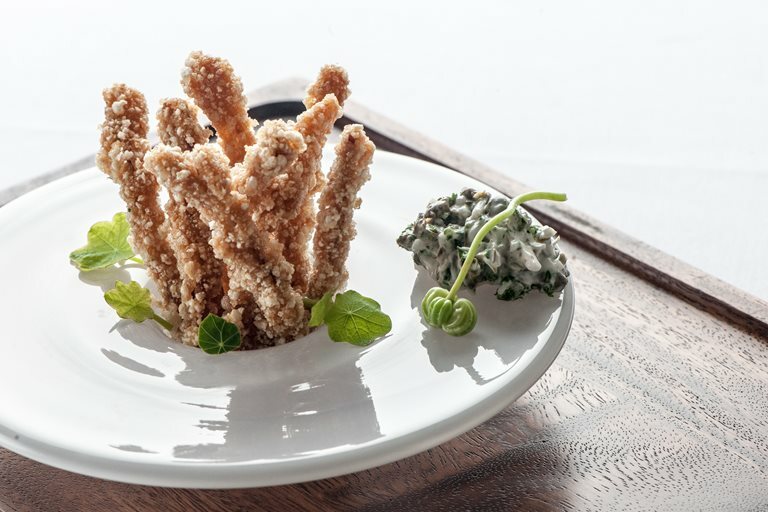 Simon Hulstone's crispy pig's ears recipe offers a frugal twist on pork scratchings, complete with a floral nasturtium tartare sauce. Feel free to double or even triple this recipe and keep the crispy pig's ears in an airtight container for 2-3 days. Hulstone uses broken up pork scratchings as part of the crumbing mixture for added crunch.